Christ The King TV is taped from the pulpit of Pastor Ramiro Peña at Christ the King Church in Waco,Texas. Pastor Peña shares the truth of God’s purposes on earth and His loving heart for all of His children with a warm and loving joy. Ramiro’s main message is that God is always speaking to His children and that He longs to develop close relationships with all of them for enjoyment and for His Glory. Pastor Peña encourages everyone to choose to reach hold of the abundant life that God provides. 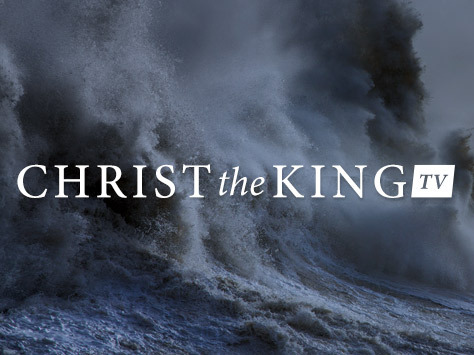 Christ The King TV is seen nationwide and worldwide each week in over 200 countries on countless TV and cable outlets and broadcasts worldwide on the internet. We feel incredibly blessed to offer this program to you here on the PTL Television Network. Pastor Ramiro Peña founded Christ the King Baptist Church of Waco with his wife Orphalinda 25 years ago. He began in youth ministry in 1982 and was licensed and ordained as a Baptist pastor in 1985. In addition to graduate studies in philosophy and business at Baylor, he has completed training in pastoral counseling, hospital chaplaincy, and police chaplaincy. Pastor Peña began his television broadcast outreach in August of 2008. When speaking about his television ministry, Christ the King TV, Peña feels it is a privilege to provide a multi-media broadcast ministry and share the truth of God’s purposes on earth for ALL of His children. His mission is to remind us that God is always speaking to us and longs to develop close relationships.